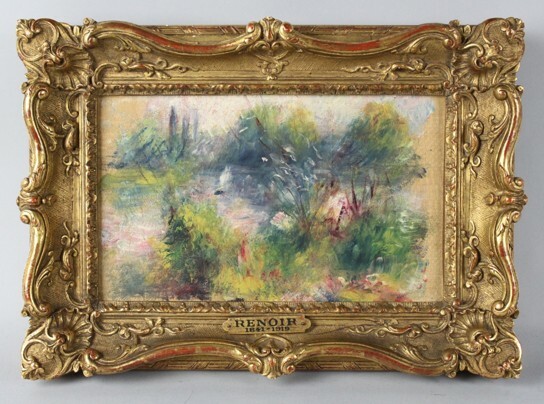 Renoir found at West Virginia flea market likely to fetch $100,000 at auction. So it would seem that two years ago, some woman stopped at a flea market in West Virginia and forked over $7 for a box of stuff because she like the plastic cow in the box. She though she could sell the leather doll and double her money. The crappy painting she left in the box and stuffed it in the garage. She was thinking the frame might be useful in a later project. When she did ask someone about the frame, she got a bit of a surprise. Go forth and shop!